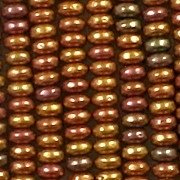 Size/shape: 2mm (thick) x 4mm (wide) rondelles (tire-shaped beads). 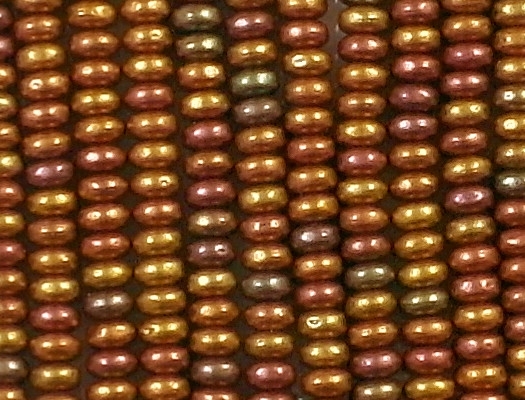 Colors/description: A mixture of metallic colors (gold, lavender, red, green) with what appears to be a yellow wash on all the beads. 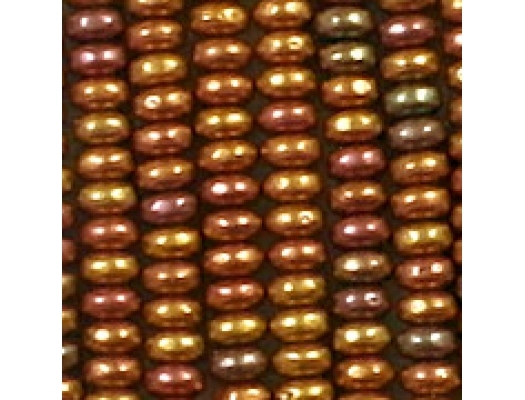 Defects: The picture revealed that 10% to 20% of the beads have dents or small flat spots. Some of the dents are very small, and some are larger. Because the beads are so small, there's a good chance you'll use those beads anyway. Even so, I lowered the price 20 cents. How photographed: Under two daylight-balanced lamps. Note: Using lamps leaves two bright spots on each bead -- especially on round beads -- but that can't be helped. Also, the close-up shot may show defects that the human eye can't discern. 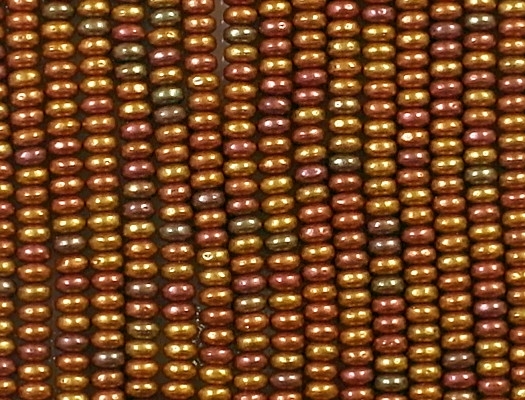 Comments: These beads are similar to the larger G2292 beads, but they aren't exactly the same. 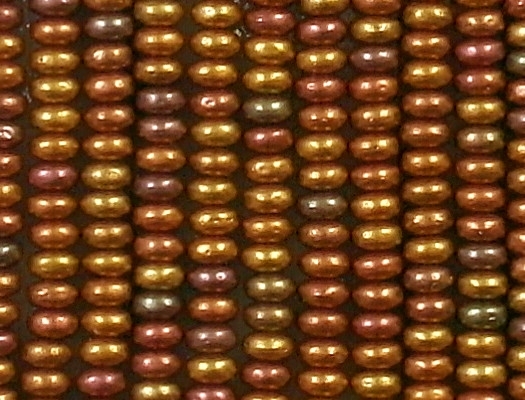 The overall color of these beads is more yellow, and the finish isn't as matte as the G2292 beads. I like them.